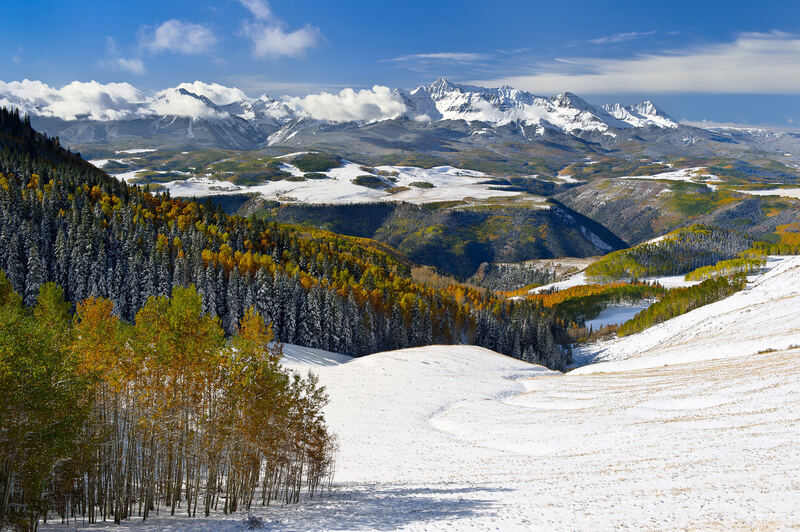 Regarded as one of the most beautiful locations in the world for fall foliage, the San Juan Mountains of Colorado are breathtaking and absolutely stunning for photography. 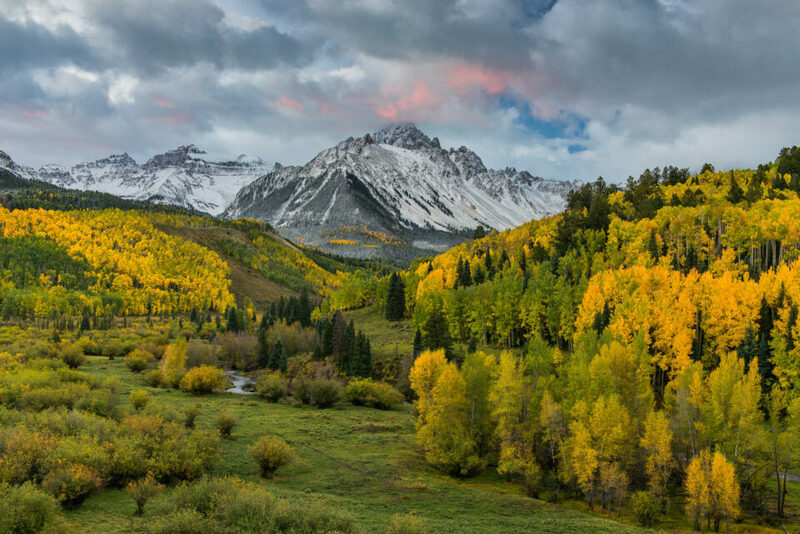 The Colorado Fall / Autumn Photography Workshop conducted by Nasim Mansurov is designed to capture this specific period of the year, when the mountain range gets the most stunning colors from aspen, shrubs and other trees and plants in the area – it is truly a magical experience to witness and photograph such magical transformations. 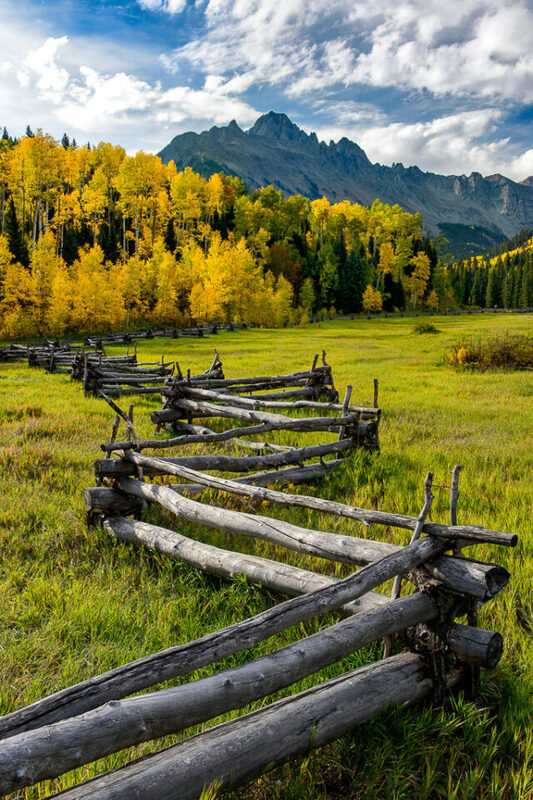 Due to changes in weather and the amount of precipitation, the foliage colors and patterns can drastically change year to year, giving truly unique photographic opportunities for those who like visiting Colorado every fall. 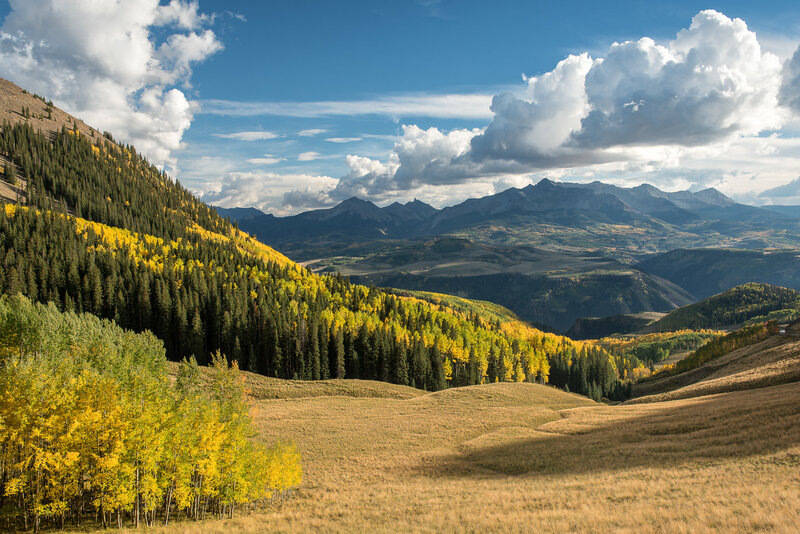 The Colorado Fall Photography Workshop will combine a pre-workshop class on landscape photography, with the experience of photographing beautiful scenery in different areas of the San Juan range. We will travel together in cars and stop at the most scenic locations throughout the day, starting at sunrise and ending at sunset. Education will be provided throughout the workshop and the instructor will spend one-on-one time with each participant (the workshop is limited to 10 people). The goal is to learn how to capture beautiful landscapes in both normal and challenging lighting conditions. After coming back from the photo shoots, we will spend the last day learning how to post-process images. Our Colorado Fall Photography Workshop will start on September 28 and will end on October 1, 2019, a total of 4 days. Colorado local residents might prefer driving to the location. If you are from out of state / different country, the best option is to fly into Grand Junction (usually connecting through Denver or another hub), rent a car and drive to Ridgway, CO. Generally, flying into Grand Junction is cheaper than flying into Telluride. Once you reserve your spot, it might be a good idea to coordinate flight schedule with others in the group to see if it is possible to share car rental fees. If you are planning to arrive by car or rent a car from an airport, we recommend to reserve a 4×4 vehicle / SUV. Since we will be driving on some dirt roads, driving conditions in the fall can be a bit tricky due to rain / snowfall. Some of the dirt roads might get muddy, which is why we recommend an SUV. There is no need for high-clearance off-road vehicles, because we are not planning to take any dangerous high-clearance roads in the area. For the past few years our groups have been staying at the KOA in Ouray. During the workshop we try to combine both the workshop and the real outdoor experience in one setting – being able to breathe fresh air and sit with budding photographers near a campfire is not something a hotel room can offer. If you don’t enjoy camping and would rather prefer staying in a cozy cabin, the KOA Ouray has plenty of those. You can get a regular single room cabin, or you can choose to stay in one of the deluxe cabins that have all the amenities built in. These cabins are very nice – we have had participants who had never previously stayed at a campsite and they had a lot of great things to say about their experience and the quality of lodging KOA Ouray offers. You can check out the photos and the availability of these cabins through this page on KOA Ouray’s website. Once you register for the workshop, please visit the KOA Ouray’s website or call the main number 970-325-4736 to reserve your room – the sooner, the better, especially if you are planning to use one of the deluxe cabins, since availability of those can be limited. Whether you book online or over the phone, you only have to pay for the first day now – the rest will be due upon your arrival. We have a group discount of 10%, so you can either have the reservation person apply the discount when you call (just mention that you are part of the “Photography Life Workshop”), or KOA can discount the room after your arrival. If you have special needs (a fridge in your room, etc), please call KOA after making a reservation and make sure that you can get what you need. The campground hosts are very nice and accommodating and they will do everything they can to make you feel at home. If you are in Colorado and you are traveling by car, please take your linen with you (pillows, sheets, etc), since there is a limited number of those available for the guests. It is easier for locals to bring those and have the hosts provide what they can to folks coming out of state. Wildlife won’t be abundant during that time of the year, so I would not take any expensive super telephotos. If weather permits and you want to get out at night, you might want to consider bringing a fast wide-angle prime, like a 24mm f/1.4 or f/1.8 lens. A tripod is an absolute must for this workshop. Please take a good, sturdy tripod – see our article on choosing a tripod for recommendations. It will be needed for both sunrise and sunset shots. Don’t forget your tripod quick release adapters (we have had people before who forgot those). If you only shoot on a tripod, make sure to grab one that is easy to setup (provided that it is not flimsy) – we will be driving, hopping in and out of car quite a bit. There will not be any need for monopods or other camera support gear. 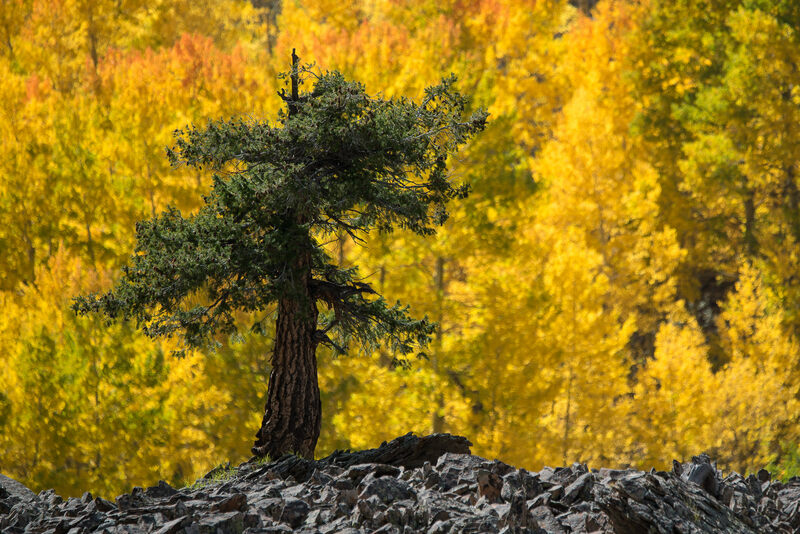 Polarizing filter: a must-have for fall colors. If you don’t have one, please purchase one as soon as possible. We will be bringing a couple of 77mm polarizing filters just in case, but it is always recommended to bring your own. The end of September can bring all kinds of unexpected weather in the mountains. If you are from a warm area, you will need to get some warm clothes! Bring a winter jacket (water-resistant is preferable, in case it rains) and some clothing to layer up. Bring underpants / leggings, gloves and a warm hat that covers your ears – you will thank us later! Mornings tend to get really cold, sometimes below zero. With some potential wind, you will surely feel it. As for shoes, warm water-proof shoes are a must. No need for boots, as long as your shoes are a couple of inches higher than your ankle bone. 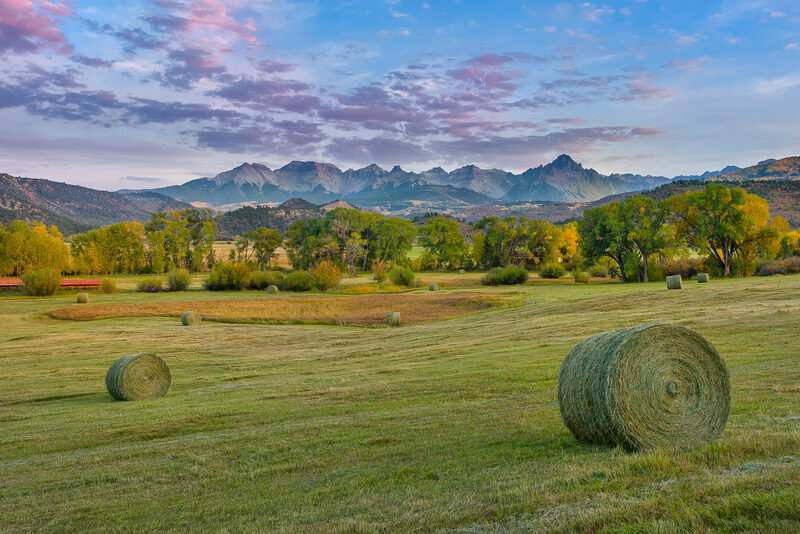 As you can see, this will not be just a photo tour of the San Juan area in the fall – it is an extensive, four day long workshop to advance your photography skills! Please note that we will be traveling by cars when we are out shooting and there will be minimal walking / hiking needed (typically no more than a few hundred feet). We recommend our participants to be in good general health condition to enjoy the workshop in full. Also note that we will be in the high elevation zone (above 7000 feet), so we recommend to consult your doctor before the trip to make sure that you do not have high altitude sickness / problems. You will be asked to drink a lot of water / fluids during the workshop to avoid dehydration, headaches and other problems associated with the high elevation. We will be requiring each participant to sign a “Release of Liability” form on the first day of the workshop. The workshop cost is $1149 per participant. This cost excludes flight, car reservation, lodging, food and other related costs. Workshop participants will be responsible for arranging their own flights, accommodations and ground transportation to and from the workshop location in Ridgway / Ouray, Colorado. Below are some of the testimonials from the prior workshops. If you have previously attended our workshops and would like to leave additional testimonials, please leave them in the comments section below. Thank you! 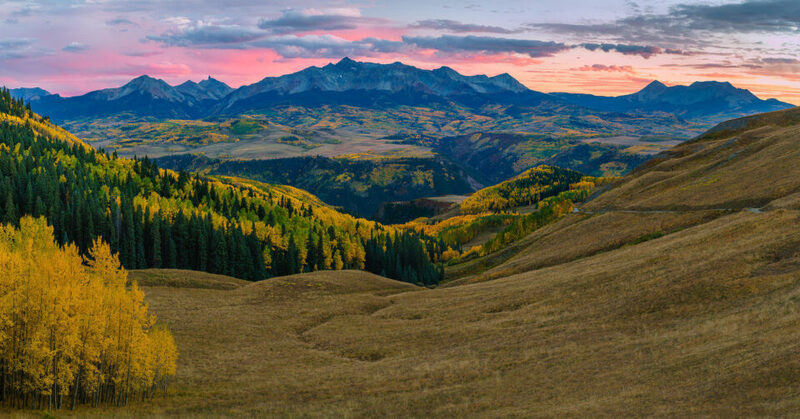 I attended a fall color landscape workshop that Nasim held in Colorado in October 2015. The workshop began with a tutorial on landscape photography, including camera settings. Over the next several days Nasim took us to many scenic venues in the early morning and early evening and made suggestions on composition, filters, etc. On the last day of the workshop he critiqued landscape photos we provided. Nasim’s expertise and instruction in all aspects of landscape photography was extremely valuable to me and the cost was a real bargain. Another benefit of this workshop was the interaction with the other workshop participants. I look forward to participating in other workshops Nasim organizes in the future. Jack Pearson. The Fall 2015 PL workshop in the Colorado San Juan mountains was my first photography workshop. It may be my last because I am not sure other photography workshops can top how well Nasim orchestrated this workshop. It was my expectation that I would receive adequate one-on-one attention and instruction; Nasim came through beautifully. I came home with several spectacular shots made possible through his guidance. It was so easy to ask him questions and engage in conversation. His explanations, instructions and answers were given in an easy to follow manner. I am so glad I had the opportunity to attend the Fall 2015 workshop; it is an experience I will cherish. David Arthur. 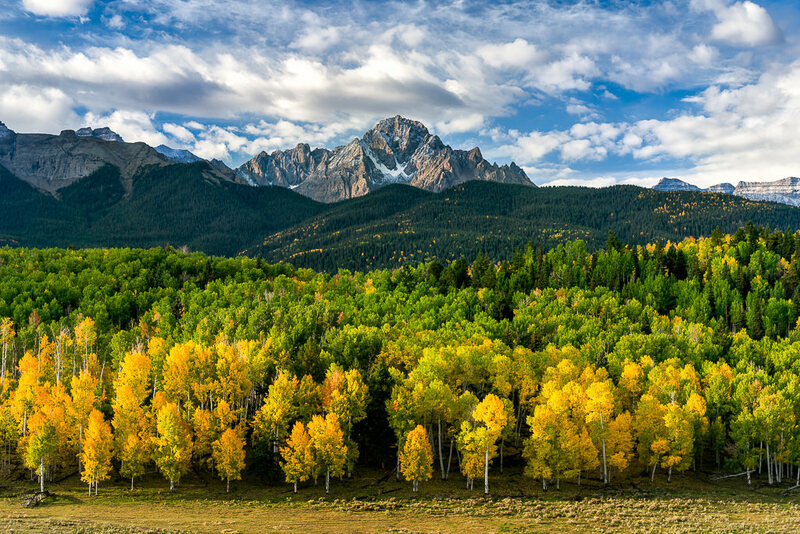 The Photography Fall Workshop by Photography Life in Colorado will rank right up there for us as one of the best weekends we have ever experienced: peak fall foliage color, a terrific instructor and guide, and a fun group of fellow photography enthusiasts. Mark and Emily Fagan. I have been to many photography workshops before, some of which were conducted by prize-winning National Geographic photographers. None of them were even close to the PL Workshop I was blessed to be a part of a couple of years back, all thanks to the passionate and super knowledgeable Nasim. He is one of the best instructions you can come by! I left the workshop full of knowledge and experience, not to count the beautiful images of fall colors, all of which helped transform the way I photograph today. Being out in the field and shooting with someone constantly helping you and fixing your mistakes is invaluable. I will surely be attending more workshops like this in the future by PL. Sunil Patel. Mauricio, our 2017 workshops are open and we have some availability – please see the updated page above. Nasim, I am registered for the Colorado Workshop, and waited too long for the cabins at the KOA. Do you have any recommendations in Ouray or Ridgeway? Nasim are there any more spots left? Nasim are there any more spots left? Do you have any cancelation? I am going to be in Colorado for 2 days in September. Would like to know any good places for fall color and wild life photography. I am flying to Denver on 20th evening and planning to go to Aspen for one day (21st) and Rocky Mountains second day (22nd). Is that a good plan considering my above requirement? Any specific places in these areas i should visit? I am wondering if you have your 2018 workshop dates set yet? Gail, the workshop dates for 2018 have been announced. Please sign up as soon as possible, since we have limited availability. I just read this about your fall workshop. I will be watching for your 2018 workshop if you are having it. It looks like fun, a good learning experience and an opportunity to get some photos just not available here in southeastern Washington. Earl the 2018 dates have been finally announced – please see above for more information. I’m excited for the 2018 version! My trip to Rocky Mountain National Park was great (aside from too many clouds hampering the mountain views) but I certainly want to do your workshop. Sean, the 2018 dates have been finally announced – please see above for more information. Any idea when this workshop will be scheduled in 2018? Rob, I apologize for a late response – we have just finalized the dates for 2018. Please see the article for more information. Could you please count me in for 2018? Subroto, the dates for the 2018 workshop have been announced – please see above. I’m looking forward to this year’s (2018) schedule for this workshop, please notify me when registration is open. Tony, the workshop dates for 2018 have been announced – please see above. How many people will you take for the Colorado workshop and how many “guides” will there be? Nasim – # of people in San Juan workshop? Still open? Would you consider one-on-one workshop; I’d be interested. My son lives in Salida and has a restaurant there. Eager to hear from you. I’m a regular reader of your web site. Leonard, I do have a spot available – just had a person cancel. I wish I could do a one-on-one workshop, but I simply don’t have the time. As soon as I am done with this one, I am taking off to Jordan and then Turkey afterwards. I am signed up for the 2018 workshop and have two friends also interested in attending. Are there any spots remaining? What is your policy on tag-along spouse? Terry, due to space limitations in vehicles (we will be carpooling up to 4 participants per vehicle) and limited space in some spots, we cannot allow non-workshop participants to tag along. I am registered for the Jan 2020 Death Valley workshop and would like to sin up for the Colorado as well but I see it’s full. Is there a wait list? Howard, please sign up – usually one or two people cancel, so you should be good to go. If I sign up now and it’s full do you charge my card now or only when there is an opening? Howard, I will make sure to accommodate you, so please pay in full. I won’t accept registrations afterwards. 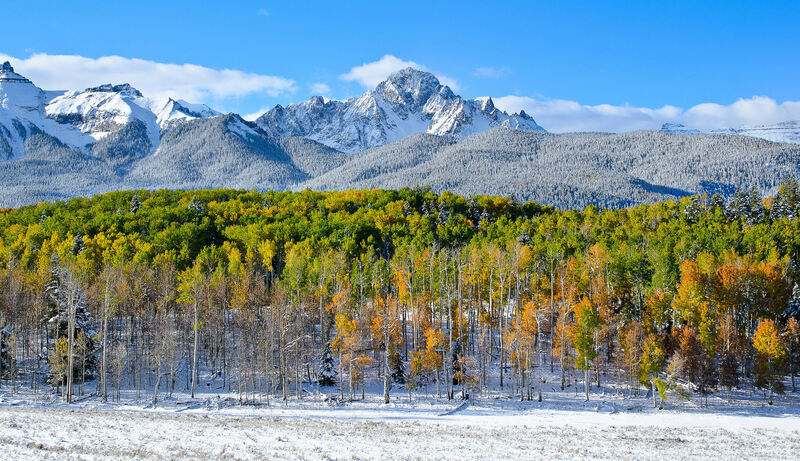 I’m assuming you have all the proper permits from BLM and the Forest Service for the Colorado fall colors workshop as well as the required insurance and first aid certifications? Please confirm. I couldn’t find this info on your site. Thank you.